The Zamboni has had millions of people mesmerised for years as it slowly cleans the ice at a hockey match. For some reason it’s just addictive to watch it go around the ice rink and hit every square inch of ice making it smooth. If you ever wanted to be a Zamboni driver, you now can do this courtesy of the RC Zamboni. 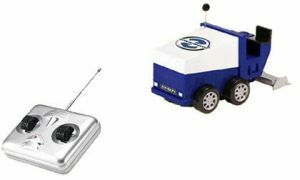 It’s a small remote controlled device which you can drive around your desk or floor. Unfortunately it looks like it doesn’t actually smooth ice over which is a shame, but not a surprise. 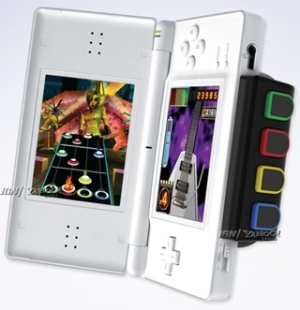 However, it still looks like one which will still amaze your best friends. The RC Zamboni costs $24.99 over at jenskates. 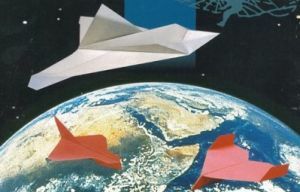 The guys over at the University of Tokyo are creating a paper airplane which will fly from the international space station, back home (hopefully). Astronauts will launch it soon. A few problems exist though. First is that when a shuttle hits the atmosphere it is travelling at around mach 20 which causes it to get seriously hot and use those heat deflecting tiles across the shuttles belly. So, a paper airplane will be thrown out of the space station, which is travelling at speed it’s self, and yet they expect the plane to land safely. Apparently this will be achieved by treating the paper (in some mystical way) to make it be able to withstand the extra heat. Now I don’t expect to see the airplane fly through the atmosphere at mach 20, but it should still be going quite fast to get hot. No launch date is set and they are hoping a hand written message on it might make it in to the hands of someone on the ground. It will be cool if that happens! 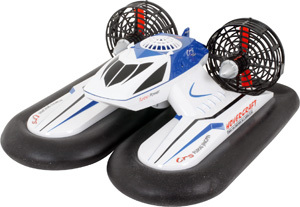 The Radio Controlled Hovercraft is capable of running across land, water, ice or snow. It has a dual cushion to provide lift, but keep the air tucked away inside. It has 3 motors inside and 2 propellers to keep it hovering and moving. 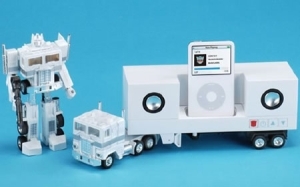 It’s the perfect office type toy for those with boring jobs. 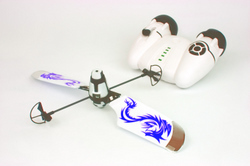 Flytech created the unique DragonFly last year which was a seriously different flying RC toy. Now they have created the Bladestar which could kind of be compared to a helicopter in some ways. It has a large rotating blade and 2 rear rotors that are opposite each other. Three sensors help keep it out of trouble by detecting the floor, ceiling and walls. 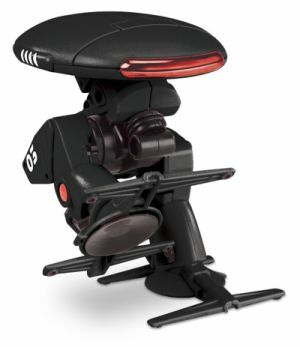 It allows the Bladestar to fly it’s self, or alternatively you can use the remote control. If you want to be truly unique then you can guide the robot RC Bladstar by using your hands to block it’s sensors and guide it around. No details on pricing yet, but you can look out for launch details over on the official website. Grabbers at amusement parks are often annoying as you very rarely win anything and spend a fortune for nothing. This mini candy grabber allows you to put all your left over Christmas chocolates inside and grab them, but for free. You get supplied with some fake coins to use and I guess if you were feeling nasty you could always charge your office friends to have a go. You get 1 minute 15 seconds to grab the chocolate per coin and the tacky music speeds up towards the end. If successful you hear an applause. 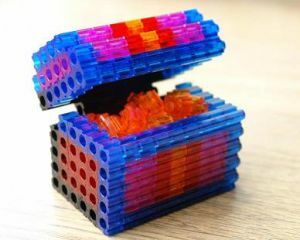 The hole in the top is too small to cheat and grab sweets although with it being desk top sized you can always just flip it over and shake it to get your sweets back. * A desktop Candy Grabber, fairground-style. * A claw that you manoeuvre around to grab your sweet treats. * Three joystick style controls, moving the grabber-forwards and backwards, up and down, and contracting and releasing the claw. * Fairground music that lasts for one minute and fifteen seconds. * A bag of fake coins. * A slot to fill the machine with goodies. * Suitable for ages 5 years+. * Requires 3 x C Batteries (not included). * Size: 32 x 21 x 16cm. 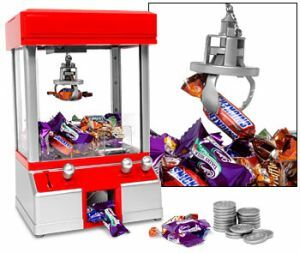 The mini candy grabber is available from IWOOT and costs £17.95. 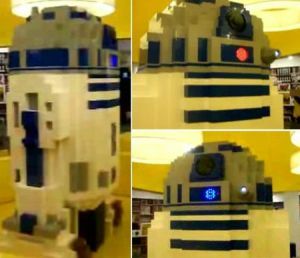 Standing a massive 8 feet tall is the all new R2D2 Lego model which was built by Dan Steinenger and a bunch of children who also chipped in. The R2D2 model has functioning red and blue LED lights as well as sound effects. It is currently standing at the Lego store in Disney (Orlando) and was built as part of the festival of masters event. Video after the jump. The old pixel has been a slave to the monitor and LCD for years. Thousands of them can be seen on your screen. The PixelBlock has broken away from the screen on to your desk. 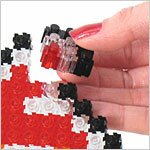 With PixelBlocks you can create 2D and 3D images on your desk by slotting little pixels together in 3 different ways. They come in an assortment of colours which have little peg and hole systems which allow them to be linked up. 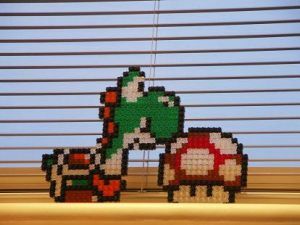 You can create anything you want in 8-bit style from Mario or Sonic, to self portraits. Speaking of self portraits… if you decide to make a 2D representation of your own face then on-line software makes this task a lot more simple for you. The software is called PixelBlocks Digital Stained Glass Creator. You simply upload an image of your self to the website which when they receive it they send you back PDF instructions which tell you which pixel to place where. Keep the software side a secret and you will be able to amaze your friends with your skills. PixelBlocks come in 3 sets which cost $19.95, $29.95 or $59.95 from Firebox. These RC toys allow you to take on your friend in a fight… a beetle fight that is. Two remote control beetles can battle each other to find out who is the winner. The RC beetles can move 4 ways as well as a lift up function to try flip your enemy. Think of it as a tame “robot wars”. Unfortunately only 1 beetle is in each pack, but they do provide a training target for practice though. The remote control runs on 4 AA batteries which also doubles as a charger for the beetle. Each beetle is 50 x 90 x 145mm. Climbatron is a robot which is capable of climbing windows, mirrors and any other similar smooth surface. To get him climbing you just sit him on the glass, and flick the switch. Once switched he will crawl around any surface his suckers can stick to. The feet are retractable and the robot measures 4.25 inches tall and 3.5 inches wide. It takes two AAA batteries to run. 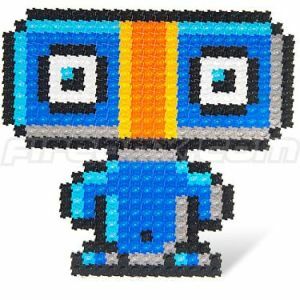 Climbatron costs $9.99 from ThinkGeek. The Hydrodynamic Building Set contains 300 pieces and just enough instructions to tell you how to start building. 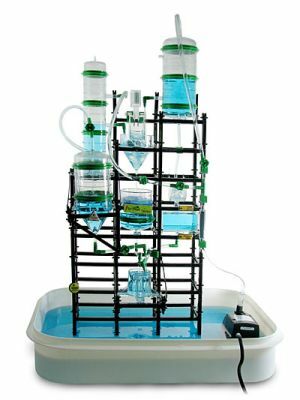 The idea with this kit is that you put all the 300 pieces together and then hope that you get it right and keep the water flowing around the system and not all over yourself. It builds up from the bottom which is the actual case that double up as a water reserve.